All WHITE PINES homes currently listed for sale in Sandy as of 04/18/2019 are shown below. You can change the search criteria at any time by pressing the 'Change Search' button below. "** Model located at 186 White Spruce Cove ** . Prideful Builder, who pays attention to the details. There are 7 Townhomes left. Come in and pick out your personal colors in Flooring, Paint, Countertops, Cabinets, Lighting etc. Once you have chosen your interior selections, the builder needs 4-5 weeks to complete. That is a Quick Move In for new construction. Private backyard, which is rare to find in a Townhome community! The master has two separate walk in closets!! Finished Basement!!! Pictures are of completed Model Home in community. They are for reference only and do not represent options selected for this property. Please contact Jennifer, for Builders REPC and required paperwork, for all offers. Lot Premiums apply and vary on each available Lot. This Lot Premium, will be added to purchase price . " "** Model located at 186 White Spruce Cove ** Prideful Builder, who pays attention to the details. There are 7 Townhomes left. Come in and pick your personal colors in Flooring, Paint, Countertops, Cabinets, Lighting, etc. 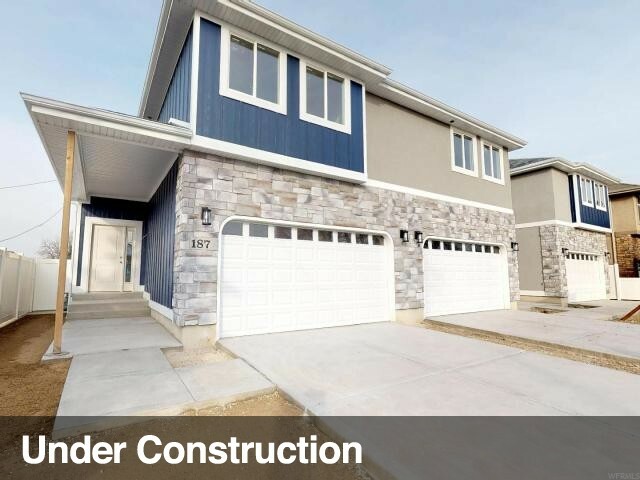 Once you have chosen your interior selections, the builder needs 4-5 weeks to complete. That is a quick move in for new construction. Private backyard, which is rare to find in a townhome community. The master bedroom has 2 separate walk in closets with an En Suite . Finished basement!! Pictures are of the Model, they are for reference only & do not represent options selected for this property. Lot Premiums apply and vary on each available Lot. This Lot Premium, will be added to purchase price . "